this view contains repeated topics. I can reproduce the problem if I visit the link with a second account, but not whilst logged-out. The &topiclist_sortby=newest seems to be the troublesome bit. DannyH moved this task from Untriaged to Sprint O (ends Jan 27) on the Collaboration-Team-Triage board. The patch in the TOC branch changes this so that auto-pagination tells the backend about the sort order. There might be an additional aspect to fix, which Erik is working on. This task has been "Unbreak Now!" priority since December 31. A patch was merged on January 13. Flow team: What else is left to do here? Or shall this task be closed as resolved? DannyH lowered the priority of this task from Unbreak Now! to Normal. 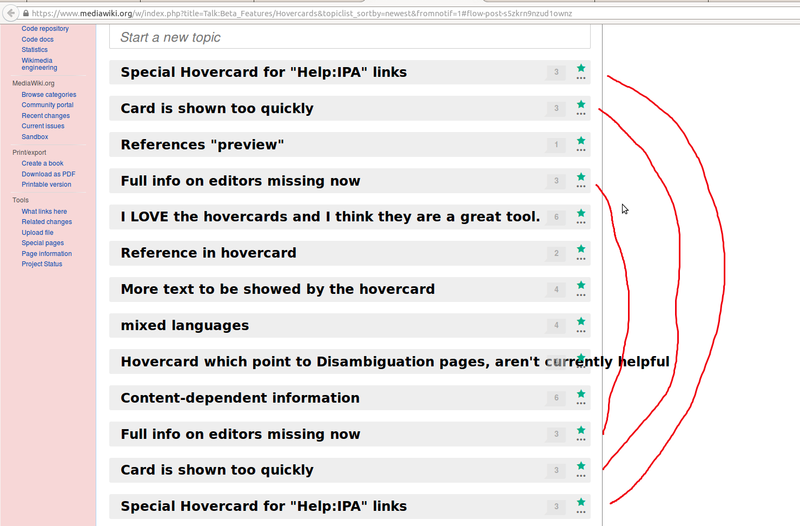 DannyH moved this task from Product Review to Done (see also Status=Resolved) on the Collaboration-Team-Triage board.